Welcome to A Sampling Bee! Today, I share with you Hand Crafted Hot Sauces from Formosa! 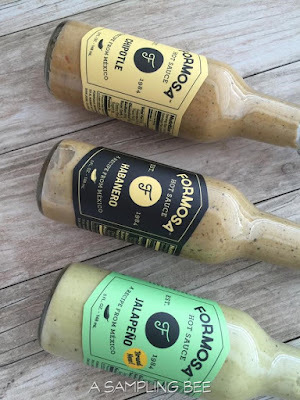 Formosa Sauces have been round since 1984. 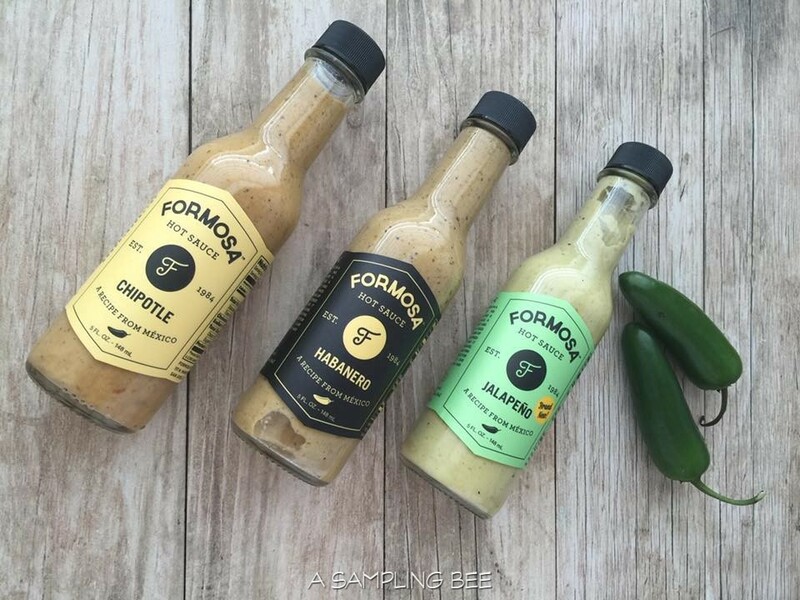 These sauces are 100% all natural and contain only the best & freshest ingredients. 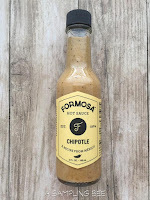 Formosa Hot Sauces are vegan and gluten free. None of the sauces contain preservatives, sugar and MSG. Needless to say, these hot sauces are a much healthier alternative to the big name brands. Formosa Hot Sauces are available in 3 awesome flavors. Chipotle, Habanero & Jalapeno. 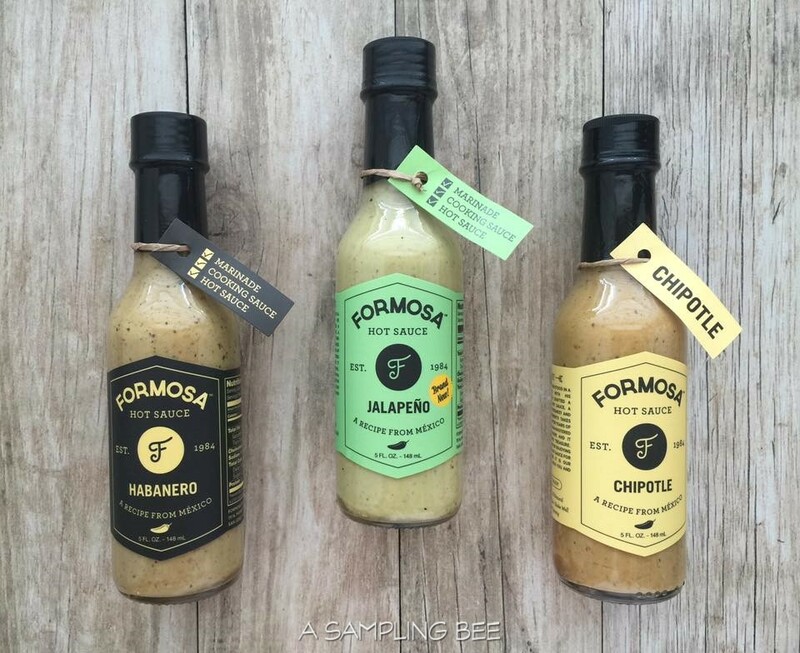 These delicious hot sauces are slow cooked to perfection, packaged and delivered daily. Formosa has been around for 30 years and is loved by all their customers. 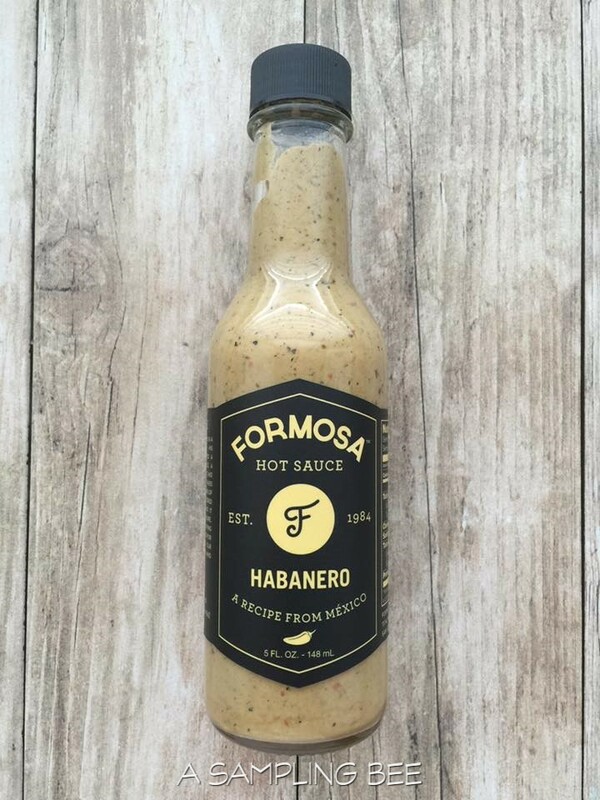 Use Formosa's Hot Sauces to spice up every meal, every day. Use them on eggs, chicken, beef and even drizzle a little on your favorite pizza. The flavorful dish possibilities are endless! 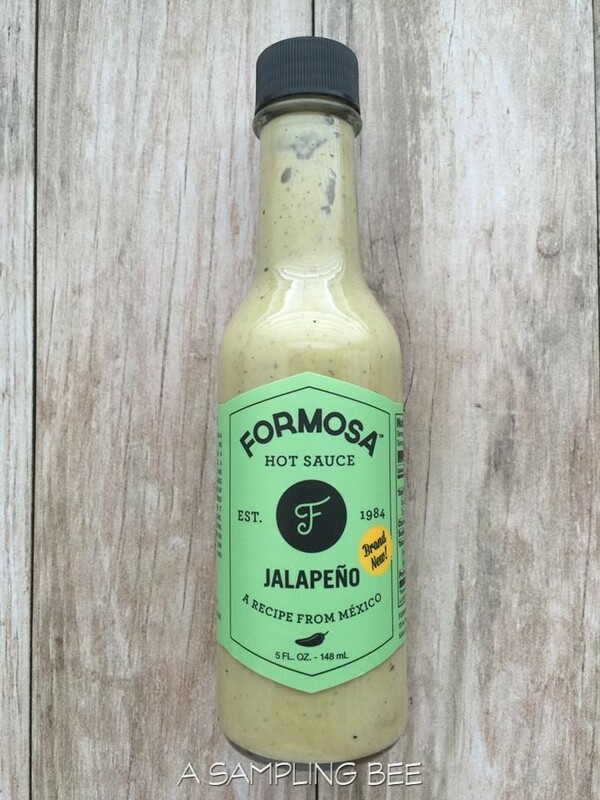 Formosa's Hot Sauces are available for purchase in 5 ounce or 10 ounce bottles. Handcrafted in California. Preheat to 500 degrees and place a pizza stone or an inverted baking sheet on bottom oven rack. Stretch 1 pound dough on a floured wooden cutting board. 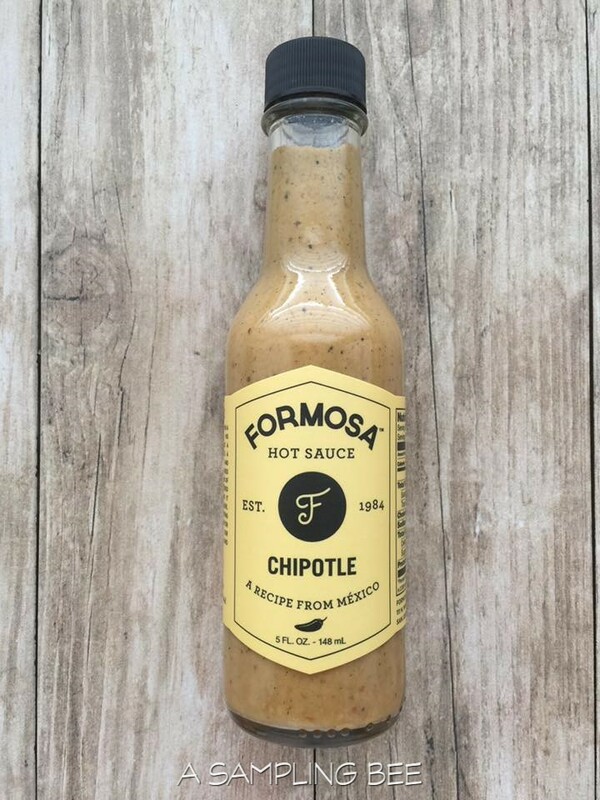 Pour Formosa Hot Sauce and spread on dough leaving half inch border. Add toppings evenly (mozzarella, cherry tomatoes and Basil) then slide the pizza onto the stone or baking sheet. Bake about 15 minutes, or until crust becomes golden brown. Let it cool for 2 minutes and sprinkle virgin olive oil before cutting. 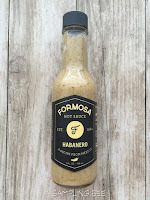 Formosa Hot Sauce are hot! Each hot sauce has a great taste. I love how they get my taste buds going. To me, the hottest one out of the three is the Habanero. I love it. I am all about everything hot and spicy lately and these fit the bill. These hot sauces add so much flavor to any dish. 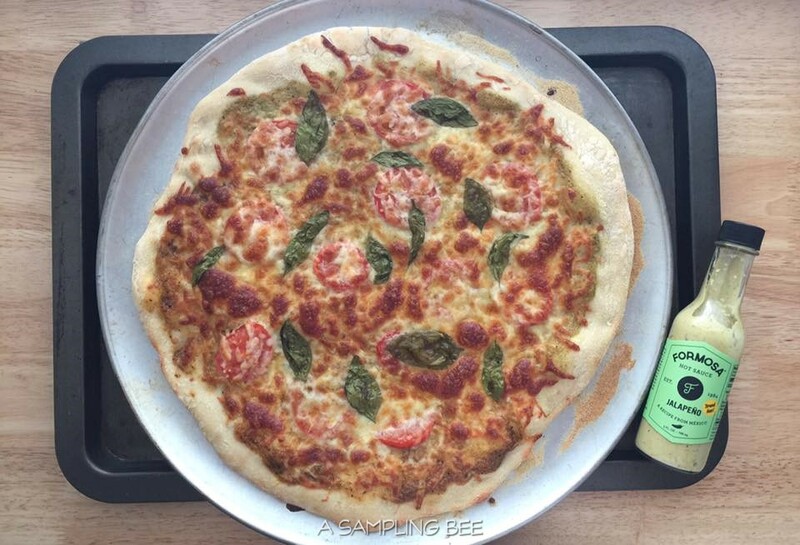 When I made Formosa's Margarita Pizza recipe, I used Habanero sauce on half and Jalapeno on the other half. Using the hot sauces instead of regular pizza sauce, made the pizza so much more flavorful. The hot sauces sunk right into the dough. The Jalapeno sauce was not as hot as the Habanero. But, the pizza was perfect. All-in-all, these hot sauces are by far the best! They're delicious! I highly recommend them. All! 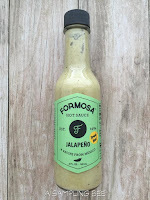 I received Formosa Hot Sauces in exchange for my honest review. All opinions are my own. Always! I love anything hot and spicy to add a boost to my recipes. Your Margarita Pizza looks and sounds scrumptious. I can't wait to try your recipe. These hot sauces sound so good! And that pizza looks delicious! I like your suggestion of drizzling a bit on pizza. I've never thought to do that! My husband has to try these hot sauces. Looks so good! I love spicy food, but I prefer hot sauces that also add flavor and not just the heat! Thanks for sharing your experience with this brand, the tips are appreciated too! This looks tasty. Would love to try the hotness of this too! I love food with a kick to it and so these sauces would be perfect for me! I have never heard of this brand so need to check them out. This looks so yummy to put on top of a pizza! I know that some places offer drizzle now so why not do it with your own sauces at home. My husband and brother LOVE hot sauces. Really hot sauces, so I bet they would love these! I love hot sauces! Can't wait to find these products and try on pizzas! Sounds a great sauces, My hubby should know about this sauce. Man, I love a good quality hot sauce. I could add it to so many of my favorite meals. Great review! Everyone in my house LOVE hot food so these sauces would be a HIT for sure! ooooh these sauces sound amazing. I want to try them and I love that you used pizza in your review.